Viju Jeremiah Traven popularly known as V J Traven is a contemporary Christian recording artist, prophetic worship minister, preacher, leadership coach, music producer, and author from India. 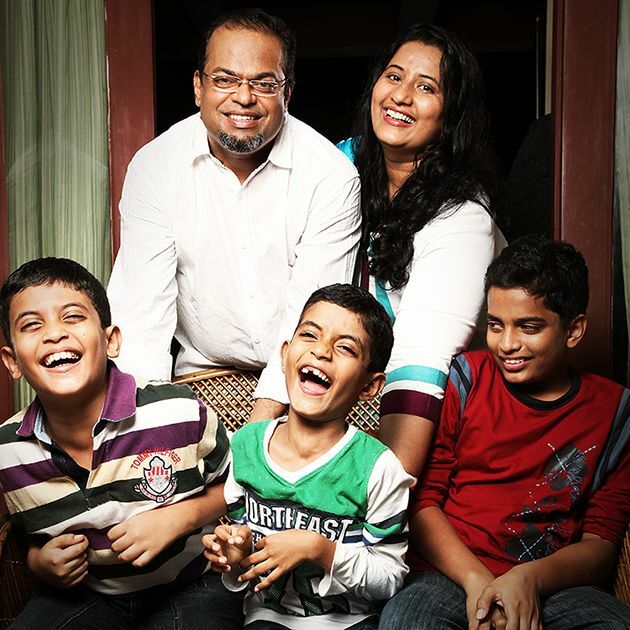 Born to K V Varghese and Gracy in 1965, he was raised in Kochi. In 1998 He got married to Junie and they are blessed with three sons Johnnie, Daniel and Nathan. For him Christianity is not a religion but a love affair. He believes every single soul who is drawn to the cross of Christ by the love of God will bow down and kiss the Son Yeshua the Messiah. 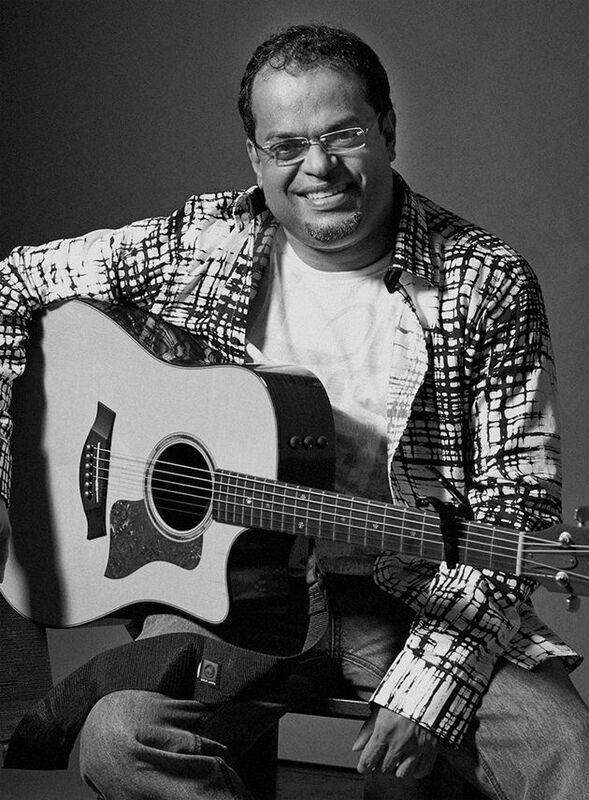 He started his music career in 1989 by forming a local band ‘Exodus’ which later evolved as a prominent Church ministry at Kochi in 2002. At present he is the co-founder and international minister of Exodus Church which has grown into a six hundred plus member congregation and it has branches at various locations. In 1990 his high pitched tenor voice was noticed in Mumbai at the music workshop conducted by Ian White a Christian Recording Artist from Scotland. His secular career took off as he joined the mainstream Rock Band Shiva as their lead Vocalist in 1991. With this popular band based in Calcutta he performed all over India before huge audiences’ at major college gigs, big clubs, large stadiums and star hotels. His creative music instincts soared higher when Peter Jenner the ex-manager of the world renowned Band Pink Floyd from England heard his original song demo in 1992 and wrote how seriously he is brainstorming for VJ’s future. He left Calcutta in 1994 for devoting more time to develop his original music and became an award winning composer and singer for the advertising industry. Uttam Joe, a top copywriter and award winning poet initially helped him to grow as an author. In 1998, VJ headed back to Mumbai and became the highest paid English singing artist in the national advertising scenario. VJ’s dad, a man of prayer passed away in 2000 due to lung cancer. And from then acute laryngitis affected his voice. Traumatic experiences during that season made him turn to God for answers. In 2001 God inspired him to leave his secular carrier and stand for the cause of Christ rest of his life. God healed his voice to preach the message of the cross and gave him a vision to gather the Lord's people from all nations for a worship which bonds generations with Christ. VJ’s mission is to heal the broken souls and set the captives free to raise an army of intimate worshippers of Christ. As he speaks or sings, the Spirit of Grace leads people to a deeper communion with God. Foreseeing a God pleasing worship revival hitting the earth before the rapture of the Bride of Christ, he coaches and mentors young worship leaders and preachers. His music has the influences of Classic Rock, Celtic, Blues, Gospel, and Jazz colored by the Indian Folk and Classical sounds. VJ has produced three albums and he has three decades of experience as a singer, author, music producer for renowned Christian Albums, television advertising, animation films, and theater. But now for more than a decade he travels world-wide as an Apostolic and Prophetic voice to the nations. As a conference speaker he ministers at national and international Church conventions and worship seminars. His original songs have become contemporary Christian classics. His music videos exalting Christ produced by Northfield Entertainment made history. In 2004 those were the first epic Christian music videos shot in South Africa, Oman and Mumbai on 16 mm film by an Indian artist. The compassion of Christ portrayed in his songs, “Yeshuve Karunamayane”, "Ente Yeshu Nayakane" and “Arms of Mercy", has touched millions of hearts through MTV, God channel, TBN, YouTube, live concerts and ministry occasions. VJ’s upcoming English album project for global release is named “Yeshua the Almighty”. He is earnestly waiting in prayer to record this dream project at Ireland with Tony Perrey [the music producer and engineer for U2] and Billy Farrel, the music Producer of the famous Corrs album ‘In blue”at Windmill Lane Studios, Dublin [popularly known as U2 Studios]. He is also involved in a song recording project with music producer Dan Cutrona a three time Grammy winner and Whitney Jasnoch a Christian poet from US to help SOE Canada, a Charitable organization working among women and kids. Moreover he is writing a book named “The Throne of Grace” under the guidance of a writing coach Ros Byes from UK. VJ has fixed his eyes on Christ the Perfector and Finisher of faith. Through constant communion of the Spirit of Grace, VJ believes the Abba Father will enable him to complete the race and fulfill the ministry to finish well without a spot. To the soon coming Yeshua the immortal Lord and King, be the praise, honor, dominion and glory forever, Amen!